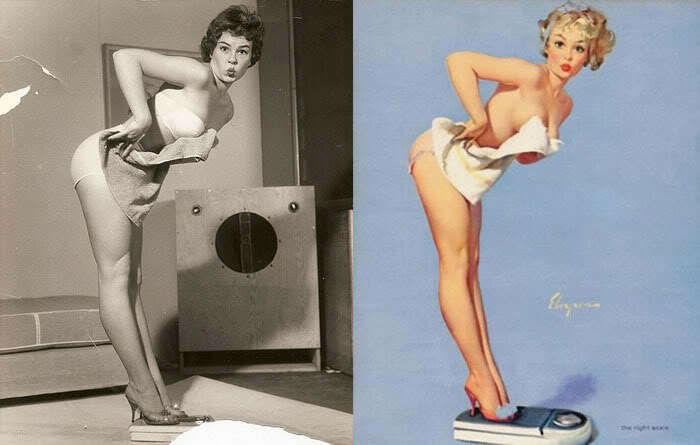 Before the golden age of photo manipulation, extreme breast augmentation, Penthouse and Victoria’s Secret, randy men the world over turned to pin-up art for a thrill. The artwork reflected the rampant consumerism of the mid-century, offering sexuality as a product: processed, packaged, and sold. Mostly anonymous, the women in the paintings are coy, sexual confections in fantastical settings. The images reflect a bright, sanitized, and Caucasian reality where feminism has no place. 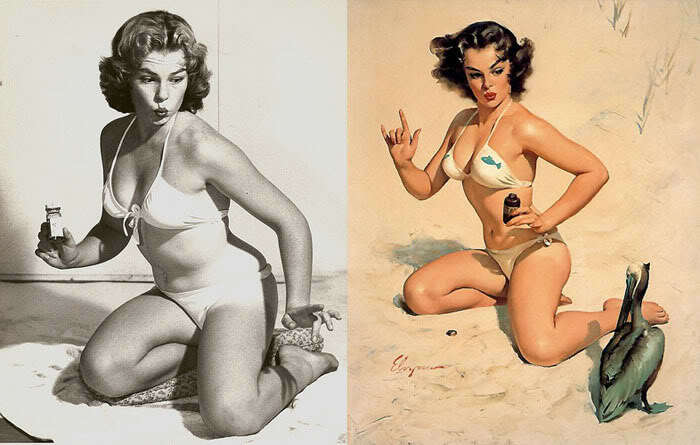 Gil Elvgren was the best pin-up artist the world has ever known, at least according to his own website. 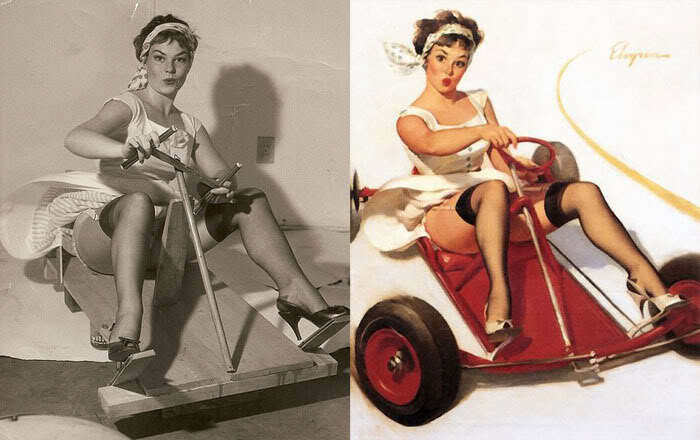 Like his contemporary Norman Rockwell, Elvgren also worked from staged photographs, changing facial features, expressions, and atmosphere at will in the final painting. And like many of Rockwell’s illustrations, the paintings present an idealized vision of American life. 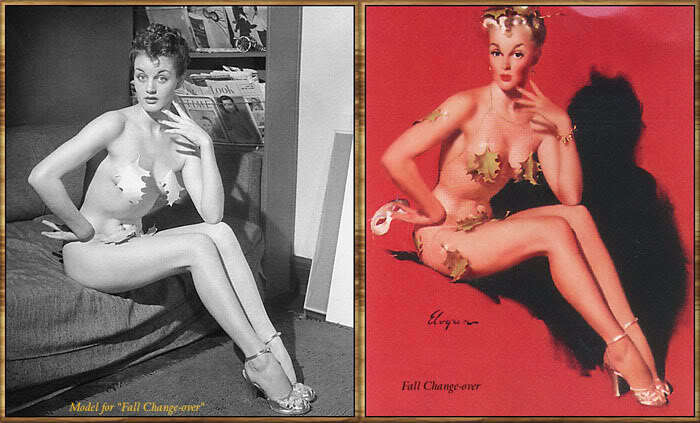 Click here to read more about Elvgren. 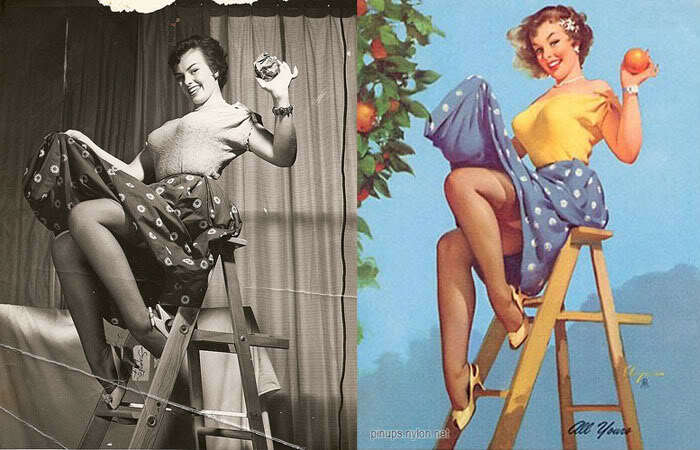 Myrna Hansen poses for a painting by Gil Elvgren. 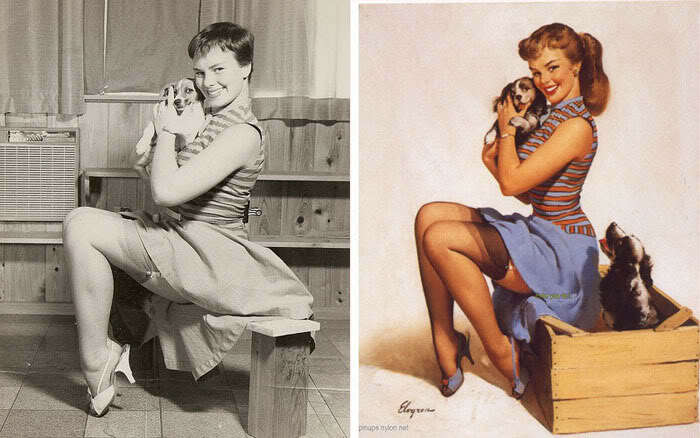 Janet Rae poses for a painting by Gil Elvgren.